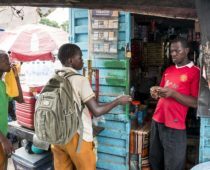 Tobacco companies aggressively block, weaken, and undermine policies designed to protect public health and reduce tobacco use, and at times they may work outside of Nigeria’s laws. #BritishAmericanTobacco is being accused of unfair dismissal and not providing appropriate entitlements in Nigeria. I support an immediate government investigation into these allegations! In Nigeria, British American Tobacco allegedly dismissed staff for exposing wrongdoing – including fraudulent activity and stock-fixing – by a manager. Sahara Reporters: "British American Tobacco's Turkish Manager Sacks Nigerian For Exposing Stock Fixing"